Link Crew is a huge part of Grizzly Retreat, freshmen orientation. Izzie Winger, bottom left, and Karissa Hodson, bottom right, pose with their freshmen dressed as inflatable tube men. Starting high school can be quite intimidating to the average eighth grader who is a soon-to-be freshman. 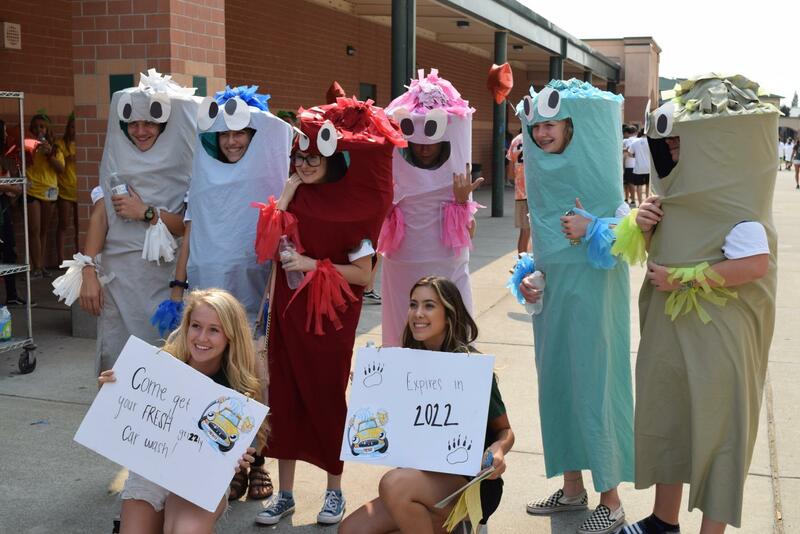 Luckily, new students at Granite Bay High School have Link Crew leaders to guide them. Every year, as nervous middle schoolers get closer and closer to starting high school, a select few GBHS juniors and seniors get ready to welcome them into GBHS. Fortunately for these middle schoolers, they are in for quite a treat. At the beginning of the year, future freshman kick off their high school experiences with Grizzly Retreat. This orientation had everything from a costume contest to a dance in the quad at the end of the night. For many students, this was a great experience. 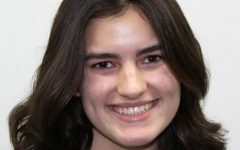 “Coming from private school & literally not knowing anyone or anything at or about Granite Bay, I didn’t know what to expect,” said sophomore Sarah Kondas about her Link Crew experience starting high school. “It was fun anyway and cool to tour the school before we actually had to start, and to get to know some classmates… I didn’t really have any expectations because I had no clue what public school was like. 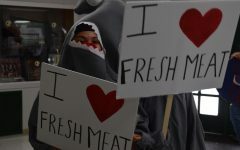 I think it had a pretty positive effect on me because I loved the community and how they promoted new friendships,” said Kondas. Some had such a good experience they went on to be Link Crew leaders themselves, like Ipsha Pandey, a junior who did Link Crew for the first time this year. These Link Crew leaders, who guide the new freshmen through unexplored waters, often find their experiences as a leader to be as amazing as theirs as a freshman. This energy and compassion is a vital component of being a good Link Crew leader who is ready to show incoming freshmen the ropes. However, the Grizzly Retreat isn’t the first time that many future freshmen have been ushered into the school. In fact, for many incoming freshmen they are introduced to the school at the eighth grade orientation. 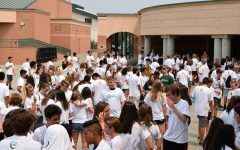 This orientation, “provides a platform for questions and answers, showcases our great campus, and hopefully gives future students a sense of comfort knowing that maybe Granite Bay High School isn’t as overwhelming as they make it out to be in their minds,” said Andrea Rothman, the Link Crew Coordinator as well as a PE Teacher at GBHS. At this orientation, a few Link Crew leaders volunteer to tour hundreds of eighth graders around GBHS, introducing them to different activities and programs that future eighth graders can participate in. As their tour continues, student life carries on around the eighth graders, giving them a taste of their soon-to-be day to day life. GBHS students from every grade are seen walking throughout campus, or studying for their next period. These students will serve as role models for the incoming freshmen, which is what makes the Link Crew program so special. Familiar faces like Pandey’s and Abraham’s help to ease incoming freshmen who don’t have a clue what high school is really like, let alone where their classes may be on campus. 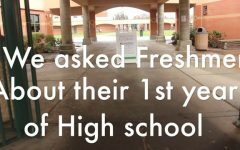 High school is an entirely new challenge for new freshmen, and a little bit of empathy on behalf of the more experienced upperclassmen can relax the minds of anxious eighth graders. “First days of high school for freshmen can be a scary time,” said Rothman. “New school, new teachers, new halls to navigate, and new kids to get to know. As expressed by Rothman, link crew leaders serve a very important purpose. They are there to support freshmen as they are introduced to a whole new experience. Rothman also said that bridging that gap is what makes Link Crew so valuable. Link leaders benefit by learning leadership skills, and people skills that will take them far beyond their high school years.